An HD ready, portable, 18.5" widescreen 12 volt television with digital Freeview with one touch tuning and built-in DVD/CD player, DVB-S2 satellite decoder with pause, playback live TV and record to USB. This product is no longer available for sale, please contact us and we will do our best to source it. The Avtex L187DRS ia ​an HD ready, portable, 18.5" widescreen 12 volt television with digital Freeview with one touch tuning and built-in DVD/CD player, DVB-S2 satellite decoder with pause, playback live TV and record to USB. This digital television has been specially designed for your boat or caravan with the latest digital technology all from 12 volt power supply. Enjoy Freeview, DVD & CD's and even Freesat all built in to this stylish slim glass fronted television. The Avtex range of televisions are designed to run on true 12v and are extremely energy efficient in standby (using less than 1w) and while in use (using approximately 30w). It comes complete with a 12v power lead (cigarette lighter plug) and a mains 230v power adaptor making the television suitable for use while onboard your boat or at home. The Avtex television comes with digital Freeview built-in, giving you the full range of Freeview channels, meaning there's no need for a separate set top box; it will also receive the older analogue TV signal if available. The Avtex L187DRS also comes complete with a built-in high definition satellite tuner for receiving free to air satellite channels (such as Freesat) from your boat or caravans satellite dish. Again there is no need for a separate set top box reducing clutter and power consumption (If you have a paid satellite subscription you would like to use you will need a compatible set top box). Setting up and watching television has never been easier thanks to the Avtex Quick Tune feature, a handy button on the remote control will automatically tune your portable television to the local television channels. Better yet if you are using Freeview it will automatically order the channels in the correct order. The Avtex L187DRS digital television features a built-in DVD/CD player neatly housed in the side of the slim television, there is no need for an external DVD player. 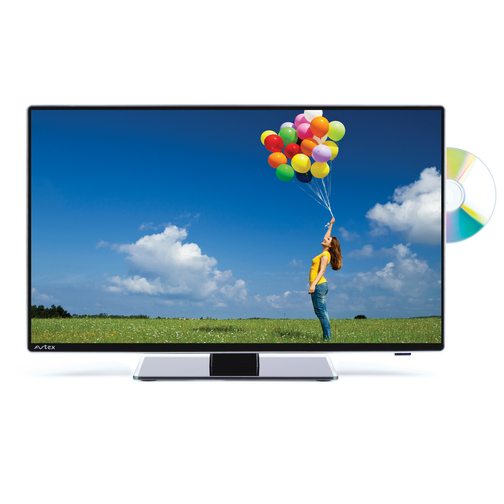 The DVD/CD player supports CD's, Video CD's, SVCD's and DVD's allowing you to watch and listen to a wide variety of discs. You can connect a games console or any other compatible set top box directly to your Avtex TV using the HDMI ports on the back of the television. You can use the Avtex digital television with compatible USB memory sticks or hard disks in order to record and pause live TV (Analogue and Digital Freeview). You can set the television to record your favourite program while you are out or to simply pause live TV while you are busy and then continue watching later on. The television can also play back video and photo files from your USB memory stick or hard disk drive so you can display your holiday photos as a slideshow. 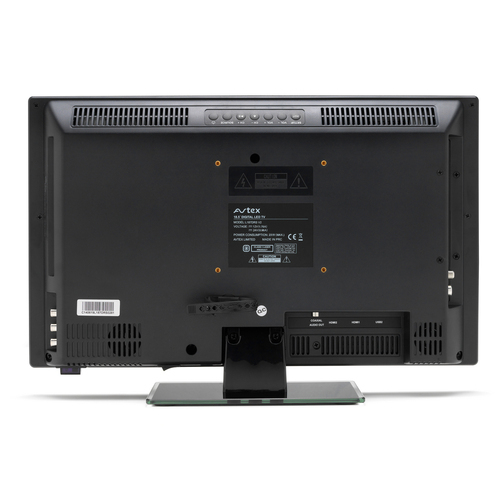 The Avtex L187DRS television can be used as a PC monitor (or as an extension to a laptop screen) using the built in VGA socket (commonly found on most computers) or via one of the HDMI sockets (commonly found on newer computers and laptops) and can even have a Blue-ray player connected when at home.. The television also features an audio input so you can use the built in speakers to listen to sound from your PC. If you have a hi-fi or radio in your boat or caravan the Avtex television features an FM transmitter which allows you to tune in to the TV and play the audio on your hi-fi or radio giving you wireless stereo 'surround' sound. This can be useful for listening to the audio in the cockpit while watching the TV in the cabin or for simply enhancing the overall sound.